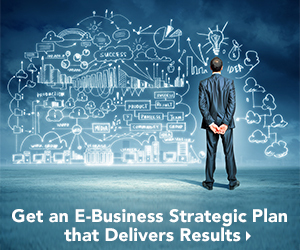 E-Business strategy is not just for Internet Businesses. 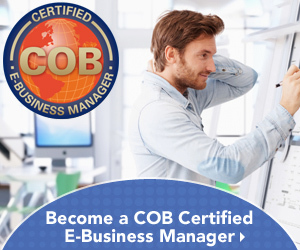 An ebusiness strategy is essential to any organisation conducting business over the Internet. It defines both your short-term and long-term e-business goals and involves careful and skilled planning. 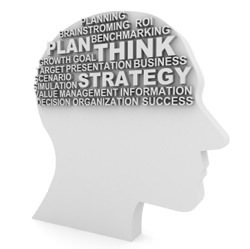 E-Business strategy is part of your corporate strategy and business plan, and also interconnects with other plans including your marketing, organisational and IT strategic plans. E-Business is multi-disciplinary, and therefore involves collaboration among stakeholders and experts from all relevant departments in an organisation. Depending on the resources aand know-how available within an organisation, additional input may be required from outside experts and consultants. In some organisations, they have a separate e-business department and in others they realise that the ‘e’ in e-business is simply part of every departments role. However, there has to be an owner or a manager of the strategic plan, and it’s critical that they have some strategic and managerial insight of all those disciplines. The Echo E-Strategy Methodology™ developed by our President Deborah Collier in 2007, is used by leading organisations around the globe and is taught during both COB Certified E-Business Manager Classroom & E-Learning Programs.